textile fabric produced on the Arachne machine. 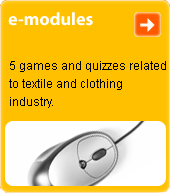 Fibre fleece is interwoven lengthwise with the warp weave of, for example, tricot weave or chain stitch. Offers only limited pattern varieties. This production technique is used most commonly in technical textiles.